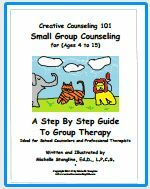 Solution Focused Brief Counseling is an efficient and effective counseling approach (Sklare, 2005) that is well suited to the time constraints placed on school counselors. However, it is very much a talk centered approach to counseling. Some students, particularly elementary age students, may not have the vocabulary or conscious self-awareness necessary to fully and comfortably participate in these conversations. A counselor working with a student who is having trouble articulating his/her situation and goals, might find it helpful to offer the student a non-verbal means of communication, one that may feel more intuitive to the student. This is where the sand tray is useful to the solution focused counselor. Many of the essential components of solution focused counseling can be adapted to the sand tray, so that work in the tray can take the place of a more talky approach. Both Solution Focused and Sand Tray therapies have been shown to be effective approaches (Taylor, 2009). Solution Focused is primarily verbal approach depending on well-timed questions and comments to help students to recognize their own strengths and resources. Based in the communication approaches of Gregory Batson and Milton Erikson, Steve Shazer and Insoo developed Solution Focused therapy. The approach has been shown to be effective with children as well as adults and has become increasingly popular in the school setting. Solution Focused therapy regards the student as the expert on his/her goals and seeks to focus on what is important to the student. Sand Tray therapy, originally developed by Margaret Lowenfeld and expanded by the work of Dora Maria Kalff and others, is an established therapeutic approach for use with both children and adults. The approach is an expressive one, allowing the student to express him/herself through the miniatures and the tray. This is particularly useful when working with students who may be less comfortable communicating verbally or who may not be language proficient. I this technique, the student is called upon to create some aspect of his/her world. While the counselor will help the student to interpret the world in the tray, much like in solution focused therapy, the student is regarded as the ultimate expert. The positive focus and affirmation of a students own strength and resources, as well as the fact that it can be effective in within the time constraints on individual counseling in the school, make it a very attractive option for school counselors. However, such a talk intensive approach can be problematic for some children who may not yet have the necessary vocabulary or conscious self-awareness to adequately express themselves. In these cases a non-verbal expressive technique can be useful in bridging the communications gap. 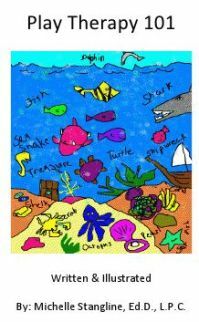 Artwork is one way a student might express him/herself nonverbally. Some students, though, might be too self-conscious of their own artistic skills to want to participate. This is one of the strengths of using the sand tray, the student can create without concern for skill. Allowing younger students to interact with the miniatures and the sand is likely to be far more engaging for them than a simple conversation. Many aspects of the solution focused brief counseling approach lend themselves to adaptation for the sand tray. A student could be asked to represent the problem that has brought him/her to the counselor in the tray. The student could represent his/her response to the miracle or exception questions in the tray. Combining these, the student could be asked to represent the problem, then to make adjustments in the tray to show what would be different if the miracle happened or what is different when the problem has been absent. The sand tray also invites the use of props which can be helpful in selling the miracle question by using a miniature of a wizard, fairy, genie, or other wish granting creature as a visual aid when asking the question. What really makes the two approaches natural allies, is that both share a focus on strengths, resiliencies, and possibilities. Time is a major limitation. As mentioned previously, in the school setting, a counselor will not be afforded a great deal of time with any individual student. This may limit how much work can be done in the sand tray and therefore, the counselor should plan the session carefully in order to use the sand tray to maximum effect. Further, in any counseling approach, the student will only get out of the experience as much as he/she is willing to put into it. This can present difficulties with a student who has been sent to the counselor unwillingly. 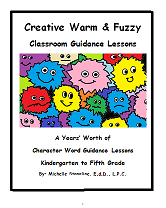 The counselor will have to build rapport with the student to the extent that he/she can get the student to buy in to the counseling process before in technique will be effective. The primary danger I see in integrating these two techniques is one of interpretation. There is the danger the the counselor will push an interpretation on a student that does not really come from the student. The counselor might focus on an issue that is more important to the counselor, or the referring teacher, than it is to the student. The counselor might reach for interpretations of the miniatures in the tray that support his/her preferred course of action rather than one that the student helps to form. There is also a danger that a counselor might allow him/herself to become too aware of time considerations and rush or oversimplify the sand tray process. A counselor might interrupt the creation process or set an arbitrary time limit on it, not allowing the student to become comfortable with the tray. A counselor, feeling pressed for time, might not take the time to fully explore what is in the tray or may not encourage the student to allow the miniatures to express themselves. A rushed counselor might not allow the student the time to find closure with the sand tray, perhaps leaving the student a bit uncomfortable with the process and not as invested in it as he/she might otherwise be. 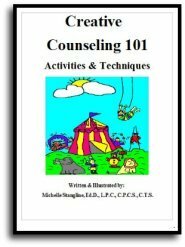 Solution Focused Brief Counseling is a counseling technique that is well suited to the limited time a school counselor has to spend with an individual student. However, this technique does ask the student to articulate his/her current situation and what he/she wants to achieve, his/her goals. Some students, particularly elementary age students, may lack the vocabulary and/or the conscious self-awareness to be able to express these things in words. Using the sand tray, a student can be asked to create a visual representation of his/her world as it stands as well as a visual response to the miracle question allowing counselor and student to move past the communication difficulties that may arise from simply talking. While a powerful tool, using the sand tray can be time consuming and must be used tactically in order to maximize the benefit in the limited time available in the school setting. 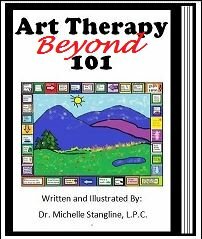 As with all expressive therapies, the counselor must be careful not to put his/her interpretations before the student’s, for in both the solution focused model and the sand tray technique the student should be regarded as the expert. 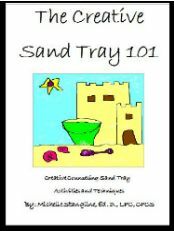 In closing, the sand tray can be useful in expanding the effectiveness of solution focused counseling approaches to students who might not respond to a more talk-centered format. At the same time, integrating solution focused counseling with the sand tray provides a framework that can maximize the effectiveness of the sand tray in the time limited setting of the school. Sklare, G.B. (2005). Brief Counseling That Works. Thousand Oaks, CA: Corwin Press.